I will never forget the first time I ever used an XGK EX. The stove’s legs and pot supports both fold unto itself, but, four days into a five-day Mount Pulag traverse climb, one can easily mistake the first for the other, and pretty soon the fire was roaring with MSR’s signature jet-engine roar — but the flames were shooting downward cooking the grass along with the breakfast. I had set it up upside down! Beyond the laughter and embarrassment, the little stove (375 grams excluding the fuel bottle) had made a point. 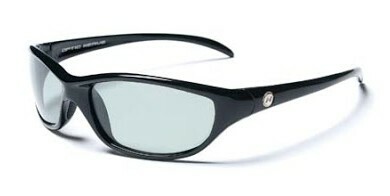 It gets the job done, even for idiots like me. Although butane stoves are now growing ever more popular, liquid-fuel stoves made by Mountain Safety Research have built a stellar reputation on campsites and mountaintops in the Philippines and abroad, where the XGK EX is the stove of choice for melting ice to drink in Alpine climbs. The three MSR models most commonly found inside Filipino climbers’ backpacks are the basic Whisperlite like the one I have, the high-end XGK EX or the popular Dragonfly, which has two knobs for controlling the flame. Some also use the Simmerlite, the lightest of the four models at just 241 grams, nearly as light as an Iwatani fuel canister. The main complaint against MSR is that they are fussy to use compared to compressed gas stoves, where you basically clamp the end of the fuel hose onto the canister top and a Piezo ignition system makes lighting the fire as easy as clicking a light switch. With MSR you have to insert the fuel pump into the fuel bottle, pump air into it, then attach and lock the metal tube that feeds the fuel-air mixture into the burner. And then you have to “prime” it into optimum operating temperature by letting out and igniting a little of the fuel that causes the flame to jump up at you. Many a camper’s eyebrows — and expensive siliconised rubber-coated jackets — and even tents, have been singed in their first attempts at cooking dinner on MSR stoves. The trade-off is that, though generally more expensive, MSR stoves are built to last and come with repair kits to ensure many years of use. They can burn a variety of cheap and readily available fuels — naphtha or white gas mainly, the same chemical like the lighter fluid canisters found at most neighbourhood hardware shops or the clock-cleaning fluids they use at watch repair shops. They can also burn kerosene, diesel or gasoline, good for climbing mountains in areas where only these types of fuel are available. The fuel line is self-cleaning against soot by using a built-in shaker jet. You just shake the stove before, or after, using. Fuel — and especially butane canisters — are banned on airplanes, and even on ferries. During one of our club’s induction climbs at Mount Apo last year I travelled two days ahead and bought up all the lighter fluid stocks of hardware shops between the Davao airport and the Philippine Eagle breeding centre to supply the needs of the team. They are also environmentally correct, since canisters are garbage that you carry on your pack once the fuel runs out, while the reusable firetruck-red MSR fuel bottles last a lifetime. They also say canister stoves don’t work well at very high elevations, but I have yet to see that for myself. The other complaints are that you cannot effectively control the flames of MSR stoves — Filipinos need to eat steamed rice daily, and climbers are no different. The Dragonfly model solved that by adding a simmer control valve, while old-time Whisperlite users say the technique really is to ease up on the pump and let most of the air out so the fire burns low. MSR stoves are available at R.O.X. at the Fort in Taguig and Expedition Plus at the Mile-Long Building on Amorsolo Street in Makati. 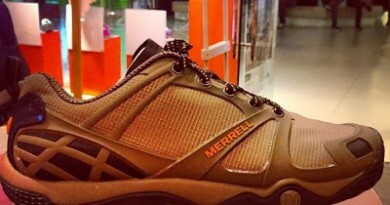 14 Comments on "MSR Stoves: Quirky but bombproof"
may nakita ako nagbebenta ng Simmerlite. white gas lang pala yun sabi sa mga website. Bukod sa lighter fluid, pwede ba ang denatured alcohol pang-substitute sa white gas? 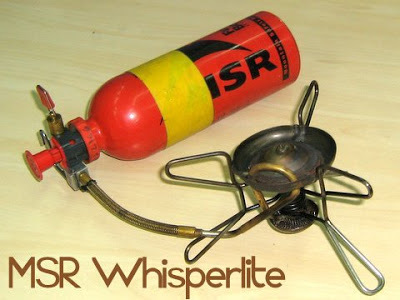 I have been using an MSR Whisperlite for 8 years, the things are indestructable! Yes, they do basically just have one setting–HOT! Interesting to think how Filipinos eat so much rice, even in the wilderness. Of course, you could go with instant rice but that's not the same. I've had good results with the following method: Using a titanium pot (I think the metal's low heat capacity prevent some burning of the rice) I heat the rice to boiling and stir constantly until the liquid is just below the rice, then immediately place the lid on, take off the heat, and let set for 10 minutes or so. Perfectly cooked camp rice!! yun nga ang advantage ng "internationale" version ng whisperlite ay yung capability na ma burn ang kerosene. 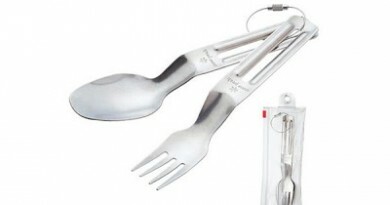 gusto ko sana sa whisperlite ay yung "whitegas" diko lang alam kung saan available mas malinis kasi ang quality ng fumes nito hindi nakakaitim ng cookset.